The word “fintech” has been tossed around quite freely for the last few years, but what does it really mean? What is this term that has become vitally important for bankers, entrepreneurs, economists, analysts and traders to know? Fintech is, quite simply, a term that refers to financial technologies. This represents its broadest definition as it is applied within the financial services sector. It was originally used by financial institutions themselves, or on their businesses’ back ends. However, this term is also increasingly evolving to represent technology that is outright disrupting traditional financial services. Fintech first came to be in the early 21st Century. It was at that time that it was the back-end tech of traditional financial institutions. That said, it has since blossomed into a rapidly growing and advancing consumer-oriented spectrum of services. As a result, the definition of the term is frequently applied from a much more consumer-oriented perspective. Today, fintech includes essentially any form of technological innovation – including automation – occurring within the financial sector. This can involve everything from the level of information, advice and education to improve consumer financial literacy, to services that streamline payments, money transfers, retail banking, lending and borrowing, investment management, fundraising, and a great deal more. Clearly, these are all services that have seen widespread mainstream adoption. It is far more likely for someone to check their accounts online than at a bank branch or even over the phone. People pay for purchases using mobile wallets, and they support start-ups and causes through crowdfunding. They use investing apps to monitor markets and make – and execute – decisions regarding their own investments. It is a part of our daily lives. Even more recently, fintech has come to include the development and use of cryptocurrencies like bitcoin, etherium, litecoin, and ripple. At the moment, that branch of fintech is seeing a sizeable amount of attention by investors and the media alike. It presents one of the biggest potential shake-ups to the global banking industry. With the way the term fintech is bandied around, it’s easy to assume it is simply the latest buzzword. Accenture data found that global fintech investment was $930 million in 2008. By early 2015, that figure had risen to over $12 billion. More recently, KPMG released a report indicating that this figure struck $50.8 billion in 2017 and more than doubled to $11.8 billion in 2018. The current consensus is that this trend will only continue its rapid rise. Fintech has broken away from the financial services sector – where it remains critical – and has reached out into every business with dealings with the financial services industry. This means, of course, that it affects essentially every kind of business. The disruption comes from the small, agile, and versatile nature of fintech start-ups. They’re able to move quickly and with a degree of precision that simply isn’t available to the hulking titans comprising the traditional financial institutions across the globe. These companies innovate rapidly and keep up with needs as they arise, making them highly appealing to businesses and, therefore, investors. Why is the Fintech Trend Important? Fintech is allowing businesses to improve their efficiency, and consumers to inform themselves and make financial decisions and transactions with greater ease and convenience. In general, there are three primary ways in which fintech is vitally important to businesses and consumers alike. Crowdfunding has paved the way for businesses to quickly and smoothly raise small amounts of money from large numbers of people or organizations in order to help obtain the funding they require for a new cause or business venture. Some of the most well known crowdfunding businesses include Kickstarter, Indegogo, Patreon, GoFundMe and CrowdRise, among others, according to an Inc. report. Many businesses and products that have come into existence because of crowdfunding have become very successful. Among the top examples of lucrative crowdfunded success stories is Oculus V.R., the virtual reality hardware and software company from the United States that was crowdfunded through Kickstarter in 2012. The campaign was able to raise nearly ten times its $250,000 goal, funding it with $2.4 million. Facebook acquired the company in 2014 for $2.3 billion in cash and stock. This demonstrates the speed and efficiency of funding available to start-ups for building their brand or developing a new product when compared to traditional methods of seeking the perfect investor. Fintech is also making it possible for companies to reduce the cost of wages which can then boost their overall business efficiency. PwC estimates show that over half of paid activities can be automated through artificial intelligence (A.I.) and advanced robotics. For instance, many tasks formerly conducted exclusively by human insurance writers have been – in part or in their entirety – replaced by fintech. Software is now able to conduct an analysis on customer data and offer beneficial interpretation. This data can include everything from unstructured text to images and even audio or video. Another large example are tasks formerly conducted by financial analysts, which can now be completed by A.I. financial analysis software capable of identifying historic data trends and making market move predictions. This allows human workers to focus on tasks of a different nature, improving cost efficiency when it comes to the work for which a business is paying wages. Fintech is already changing the nature of payment transactions. Through the use of online payments, transactions are completed extremely quickly. Though we’re all familiar with the use of digital wallets such as Apple Pay or PayPal when shopping online or even in-store to a smaller degree, adoption of mobile payments is rapidly expanding with many associated advantages. For instance, the Paylah app from DBS in Singapore allows customers to scan a barcode to rapidly complete a payment transaction through a smartphone. Companies are increasingly implementing these types of cashless systems to offer their customers greater convenience and improved efficiency for themselves. These systems provide businesses with detailed digital records of their sales while reducing their sales processing time. Therefore, fintech’s fast online payments are offering greatly improved business processes. The forex itself isn’t anything new. However, the nature of forex has undergone a massive change in its very nature as a result of fintech. In fact, its evolution has been dramatic enough that it is currently unrecognizable from what it was only a couple of decades ago. Today, we think of forex as a convenient and accessible investment method through which many of us can make some extra money. It is a matter of staying abreast of the latest global political and economic movements in order to make strategic decisions. This concept of forex is universally accepted today but was far from the case not too long ago. Before high speed internet and smartphone apps, forex was barely accessible to everyday consumers. Only banks and other similar large financial institutions tapped into it. If regular people wanted to invest in it, they were required to do so by way of a financial institution that worked on their behalf. Individuals didn’t have any way of real-time currency buying and selling, they could not access to-the-moment prices or even obtain current global news to make any trading decision in the first place. Early in the new millennium, forex became something regular everyday investors were dabbling in. It joined penny shares as a way these investors could make a bit more money through strategic trading. Overall, it was considered a small-scale, more playful way of investing limited amounts of money to try to snap up a bit of fast cash. It was made possible by home and workplace internet connections and basic resources available on computers. The reason it remained small at the time is that it required investors to spend quite a bit of time on their computers while risking potentially unreliable connections and the timing issues associated with them. Tools were very basic and not nearly as functional as what is available to today’s traders. Along with the improvement in internet speed and reliability, and as phones and apps became ubiquitous, fintech turned forex into an investment opportunity available in the mainstream. People could invest regardless of who they were, where they were, or how well they understood statistics and finance. Forex brokers developed platforms that made it possible for anyone to understand their investments well enough to easily make and execute the decisions they wanted. May 2017 ended any doubt that fintech had brought forex trading into the mainstream when Barclays opened its own fintech site in London. Any hesitation among traders to begin looking at forex as an investment possibility came to a close at that time. The foreign exchange ceased to be a mysterious and out-of-reach market. Many people who were, by then, well on their way to recovery from the 2008 financial crisis were interested in the potential offered to them through forex and brought to them by fintech. Fintech that allows people to use online banking and conduct payment transactions or money transfers has also made it possible for traders to maintain accounts they can use to make forex trades in real time. This makes it as easy to manage forex trading as it is to manage personal accounts. 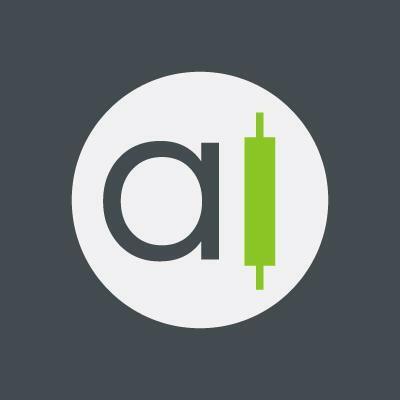 Moreover, tools available on a good mobile app make it easy to make trades in real time with prices right in front of them. As a result, traders can be confident that their actions reflect the choices they have made because they are instantaneous. Forex sites are using increasingly sophisticated analytical tools to make it possible for fintech to provide a substantial user end experience. Traders can track nearly everything they’d like in order to boost their decision making confidence as they’ll know they’re seeing current, accurate, and up-to-date data. It’s obvious that fintech is opening countless opportunities for consumers and businesses in general. That said, forex, specifically, has a great deal to gain from fintech as we move into the future. 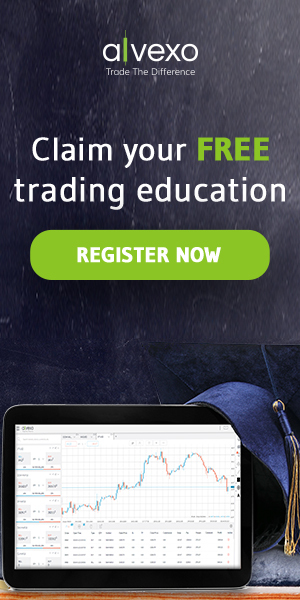 Tools are becoming increasingly numerous, sophisticated, and easy for everyday traders to use. This is allowing people to make more informed trades based on solid strategies they understand. Moreover, it is permitting them to do so within safer markets overall. Despite the fact that fintech start-ups don’t typically make top headlines that keep the public spotlight, they are continually developing new technologies that help to make it possible for traders and the general public to better understand forex trading possibilities. Each new year brings a string of new developments in everything from account management to transaction technology. Every component becomes more streamlined for users to manage them with greater ease and less inclination to hesitate to use them in the first place. High Frequency Trading (H.F.T.) has also improved and will continue to do so. Those who are already trading in the industry can already see this trend underway. Though H.F.T. was traditionally bad for the industry, the ongoing improvements to these algorithms are changing that story. Automation technology is making it possible for H.F.T. to become a positive movement within the market and may eventually eliminate the need for human interaction. The forex trading industry has become quite familiar with computer programmed algorithms and robots, making it possible for traders to gain greater access to higher trade volumes without adding the risk that used to be involved in this type of strategy. Moving ahead, markets that were once swamped with fake traders and false moves are seeing replacements with intelligent automation that is reducing risk while greatly improving market legitimacy. This is only expected to continue to make visible and measurable improvements within this space. It is quite uncommon for traders – particularly those in forex – to thoroughly understand how important it is to develop a risk management strategy and implement those processes effectively. Despite the fact that traders are regularly reminded to develop their plans in advance and take care with what they trade, it is rarely done to such an extent that it would make any measurable difference. Fintech is changing that trend and redirecting it to take a more positive path. Fintech start-ups commonly concentrate on the subject of risk management. They are developing substantial technologies specifically for the forex industry and its traders and brokers. In this way, they are making sure that as we move forward, markets and assets will benefit from improved protection. Technologies such as improved analysis, risk prediction software, machine learning and others could make a significant impact on how trading occurs and the size of the risks over time. The idea is that if an analytical program suggests that there is the chance for a market crash in the none-too-distant future, a trader will be more likely to think twice before trading in the direct line of that detected risk. Fintech can feel like a match made specifically for forex trading. It no longer comes as much of a surprise to know that as one evolves, the other moves right along with it. Forex processes have significantly improved through fintech’s influence for a progress and change that were arguably greatly needed within the industry. As forex becomes ever more popular, fintech start-ups are finding new areas in which to concentrate. Their adaptability makes it possible for them to maneuver quickly and take on new challenges now and in years to come. Last year was a substantial one for fintech, and it would be difficult to argue that 2019 will see anything but greater movements in what it has to provide.